*Please note that we reserve the right to correct any and all errors on the site without notice. If it directly concerns an order, we will contact you before proceeding with the order. Q - How old does one have to be to purchase from your store or web site? A - You have to be at least 18 years old to purchase a knife or a sword from our store or web site. Q - Do you really carry everything that you show on your web site in stock? A - Yes. Every item on our web site is a part of our regular inventory and all orders ship out within 24-48 hours as long as there is no problem with the transaction. We do our best to keep product information, pictures and descriptions and inventory levels up to date, marking out of stock items as "Sold Out". However, there might be the odd few errors somewhere on the site. If you find an error, let us know and we will fix it right away. Q - Why don't you ship outside of Canada and the U.S.A.? A - We have found that tracking a shipment, obtaining signature upon delivery and guaranteeing time of delivery to be very difficult to do on shipments outside of Canada and the U.S. That combined with unpredictable border delays and different customs laws in every country are the reasons why we limit all shipments to within Canada and the U.S. We do not make any exceptions to this policy. Q- Do you buy or sell used knives or swords? A- No. We don't buy or sell any used products. Everything we sell is a factory first direct from the manufacturer or a recognized and trusted distributor. Q - Is there any Canada Customs duties when ordering from Warriors & Wonders, if I live in Canada? A- No. Every item is shipped out of our main facility in Vancouver, B.C. Canada. All duties and import cost have already been taken care of. The only additional cost other than shipping is tax. The tax rate charged would be the sales tax rate of your Province. There are no taxes charged for orders from the U.S.A.
Q – How are warranty issues handled? A- See the Shipping and Returns page on our website for information about warranty claims. Warranty must always be handled by the manufactuer directly. Q -- What are your accepted methods of payment? A -- We accept Visa, MasterCard, PayPal and Canada Post Money Orders made out to "Blades Canada". Credit Card orders must be shipped to the billing address for you first two orders. We do not accept prepaid credit cards or visa-debit at this time. If you have a PayPal account, you may be able to process these cards through your account. See PayPal's accepted methods of payment for more details. Orders of $1800 or more must be paid through paypal only, as credit card will not be accepted at this value. Q – Can I ship to a different address if this is my first order? A- First-time customer paying with Credit Card may only ship to their billing address for the first two orders. If you would like to ship elsewhere for your first order, we suggest you checkout with PayPal, which will allow you to set an alternate preferred shipping address. See "Shipping and Returns" for more information. Q- Why is my order on hold? A- Should an issue arise while processing your order, we will send you an email with all the relevant information. Make sure you check your inbox and junk mail folders for this email and either send us a reply or call us at 604-875-1867 to fix the issue. Examples include a declined credit card, incorrect address entry, clarification on a comment left etc. If we do not hear back from you within 8 days, we reserve the right to cancel the order. If you have been charged in this time, the entire amount will be fully refunded through the original form of payment. *Please note that credit cards not processed via PayPal, are charged offline during business hours. If the card declines you will receive an email letting you know. Q – What does it means when an item is "Online Only"? A- Our inventory has grown significantly in the past few years and more product means more space to store it. While we used to have everything available for in-store purchase, it simply is not longer a physical possibility for us, so small selection of products have been moved to a secondary warehouse location for storage. For our local customers this means that these items are not available to be purchased in the store, and must be ordered online and shipped. For our nation-wide web and phone customers, "Online Only" products can be ordered as per normal, with no delay. Q - Can I pick up "Online Only" products in store? A- We currently do not have the option for orders placed on the website to be picked up. For Local customers who wish to purchase online only items and do not want them shipped, may pre-purchase in person at our retail store or by phone at 604-875-1867. We can usually have the items available for pickup next business day. If you are prepurchasing by phone, the credit card holder must be present to pickup the item. Q -Do you have a price guarantee? A -We do not offer a price guarantee. Items can go on sale with further price reduction without notice. Q - Do you price match? A - We will only consider price matching within Canada and from reputable and recognized retailers on a case-by-case basis. All comparisons must be for in stock items, and exclude clearout or special promotions. *Effective February 20th 2018, we will not be able to offer price matching on folding knives. Q - How long does shipping take? A - All parcels are shipped Canada Post Expedited. "Shipping times" depend on the destination and can range from 1 to 10 business days in Canada (more for very remote locations). Tracking information is sent automatically to your email address when the order is picked up from our warehouse. Q - Do you accept special orders? A- Unfortunately we are not able to accept special orders at this time. Q - Do you sell Butterfly knives? A - We do not sell butterfly knives, push daggers, brass knuckles or switchblades. All of these items are prohibited under Canadian law, SO DON'T ASK!!! Q - What is the maximum blades size one is allowed to carry in Canada? 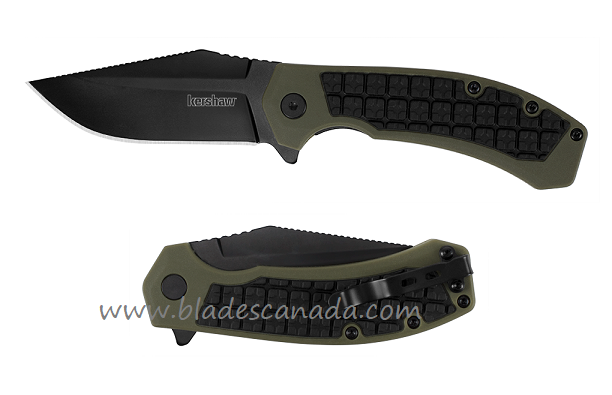 A - There is no specific blade size restriction for carry in Canadian law. However, the larger the size of the blade, the more difficult it would be to identify it as a tool for everyday use. 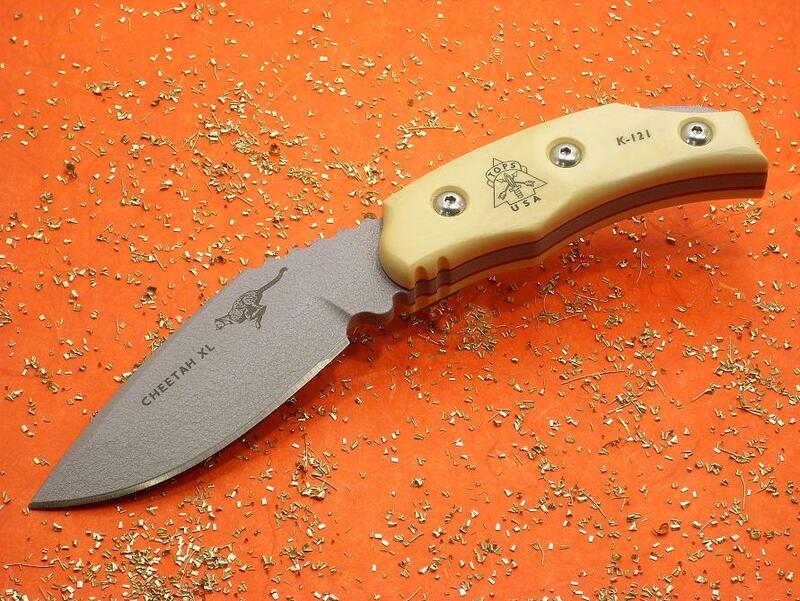 For example; if you are hunting, then a large fixed blade knife on your side is generally acceptable. However, carrying the same large fixed blade knife on your side while walking downtown in a major city would be a different matter. If you have specific questions please contact your local law enforcement agency. Q - What are the legalities of owning swords or knives in Canada? A - Knives are classified as either tools, or prohibited by design, the latter of which would include, but is not limited to: butterfly knives (balisongs), switch blades/automatic opening knives, push/punch daggers, knives with ‘brass knuckles’. If a knife is not prohibited by design, then the same rules apply to it as do to hammers, axes, screw drivers and so on. It is perfectly legal to own knives and swords that are not prohibited by design in Canada, so long as your purpose for purchasing and/or carrying it is to use it as a tool. Remember, Canadian law does not allow you to carry a knife for the purpose of "self defense". Carrying a knife for the purpose of "self defense" would identify your knife as a weapon, which is not permitted. Some places that do not allow you to carry a knife at all for any reason are airports, court rooms and some other government buildings, as well as businesses that serve alcohol. ***PLEASE NOTE: What we have worded here cannot be used in court, so check with your local law enforcement agencies for more detail.